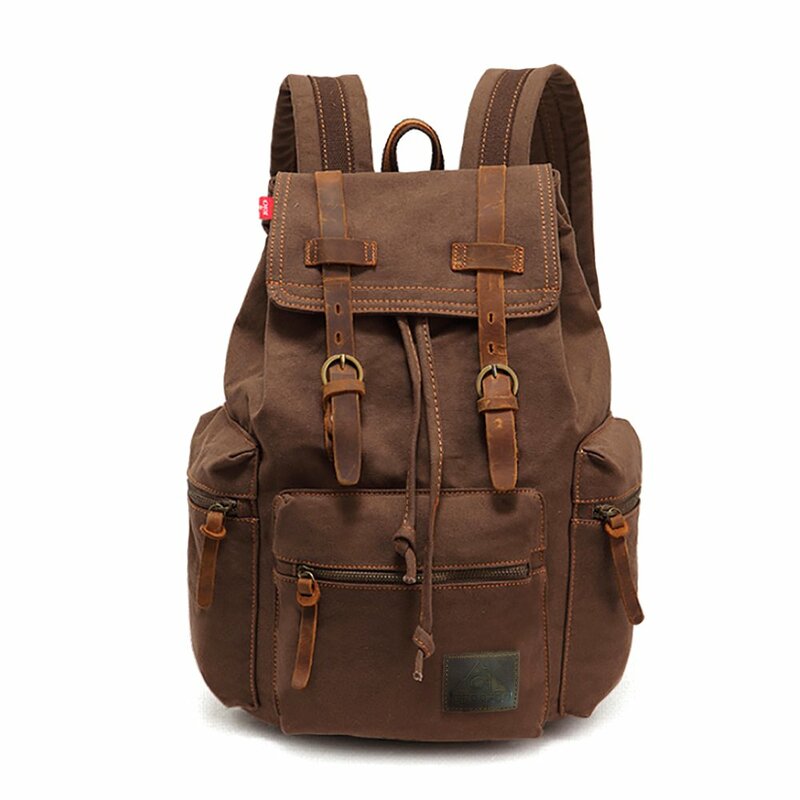 Canvas ★ DURABLE MATERIALS -- series vintage backpack is made of sturdy canvas with genuine cow leather trim. 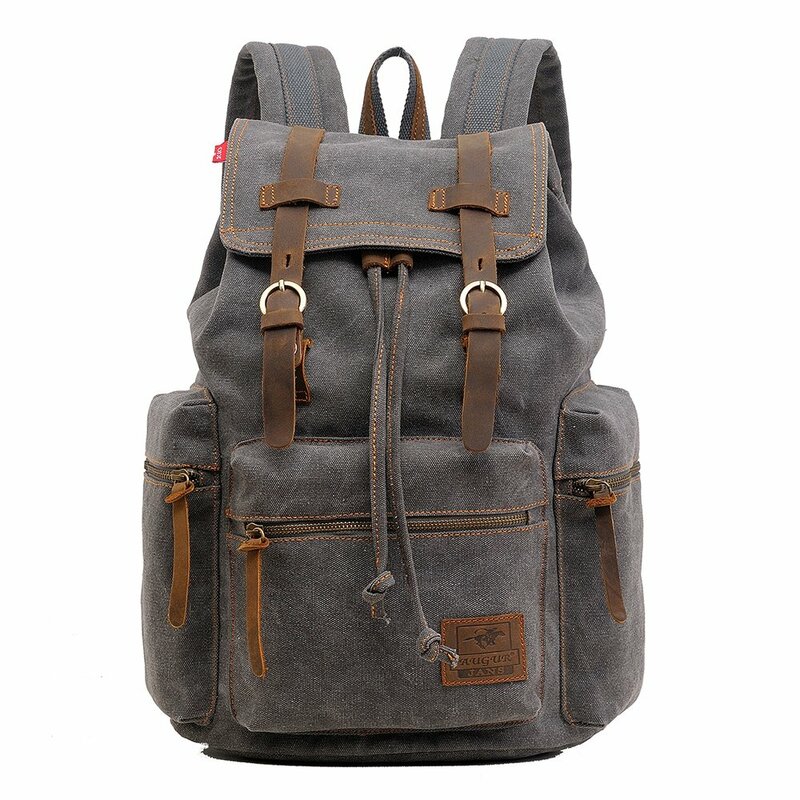 Waxed canvas backpack with adjustable shoulder straps for carrying comfortably. 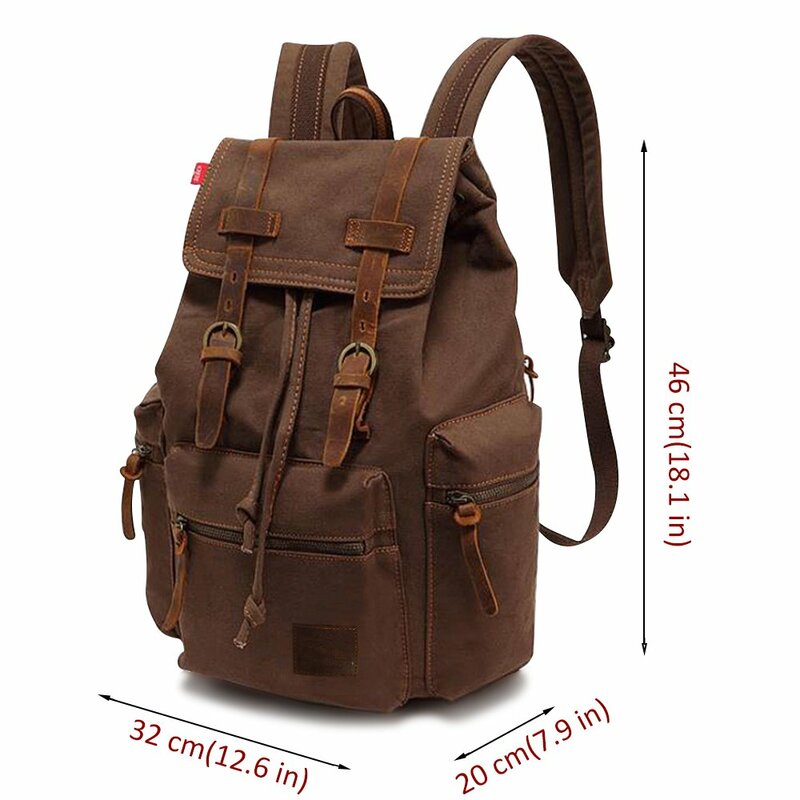 ★ LARGE CAPACITY -- Teen canvas rucksack is about 28x42x16cm/ 11"x16.5"x6.3"(L*H*W). 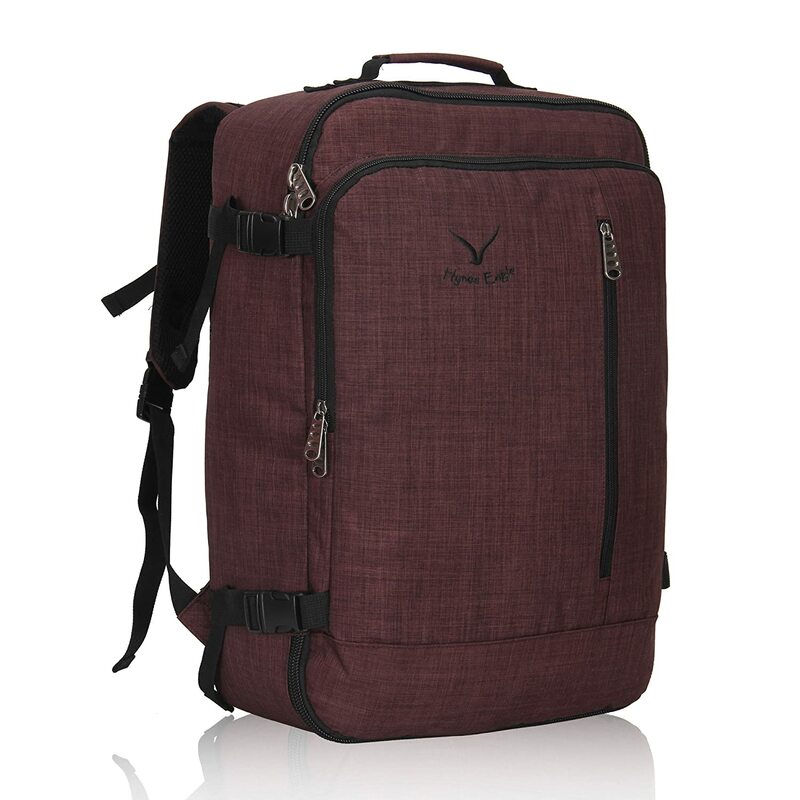 Canvas Backpack with many pockets offers more space to hold your stuffs like laptop, iPad, cellphones, keys, wallets. 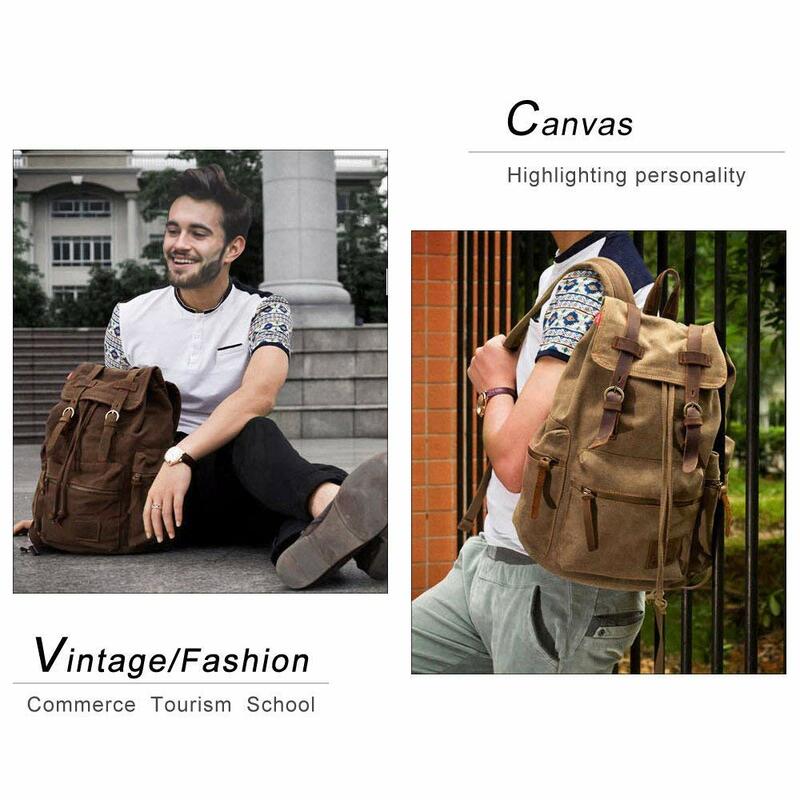 ★ EVERYDAY BACKPACK -- This canvas leather backpack can be used as a hiking daypack, computer bag, school backpack rucksack, travel backpack purse, outdoor backpack, sport backpack, business laptop backpack, weekend shopper canvas backpack. 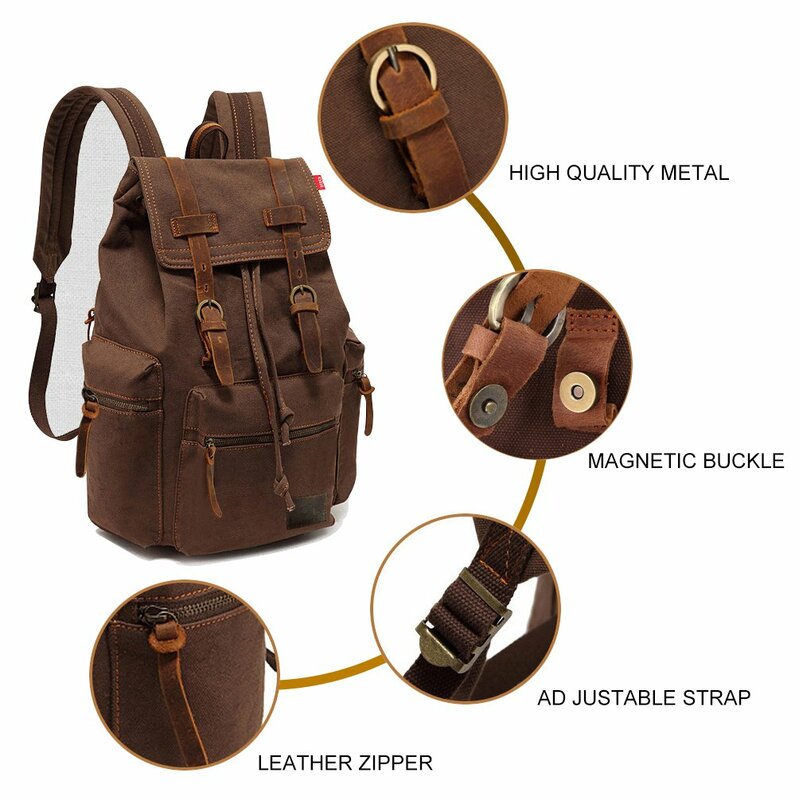 Keep your stuffs easily and safely stashed away in the spacious bag. 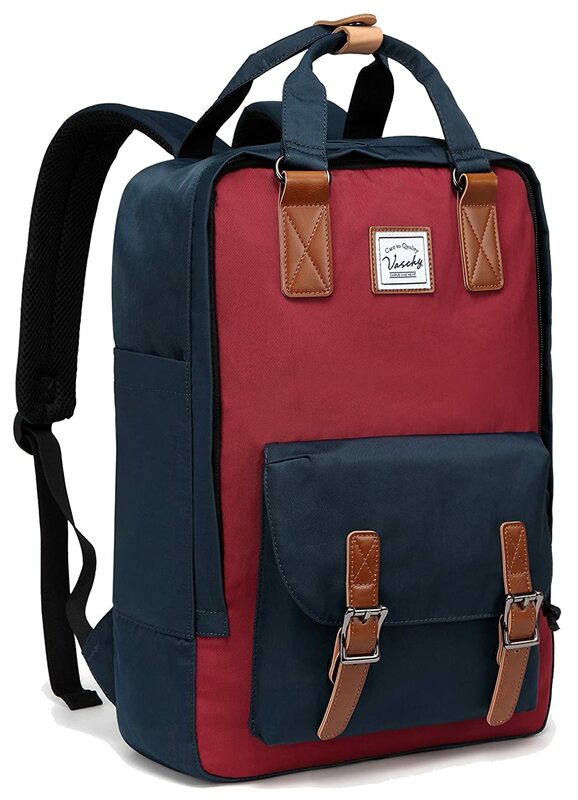 The design features a large main compartment with a hidden compartment, a front compartments & 2 side pockets & a back hidden pocket fit for smaller items. Since our founding in 1989, we've committed ourselves to creating durable, affordable product with distinctive comfort and simplicity. Do not bleach or machine wash.
Low iron 120℃. Use Press Cloth. 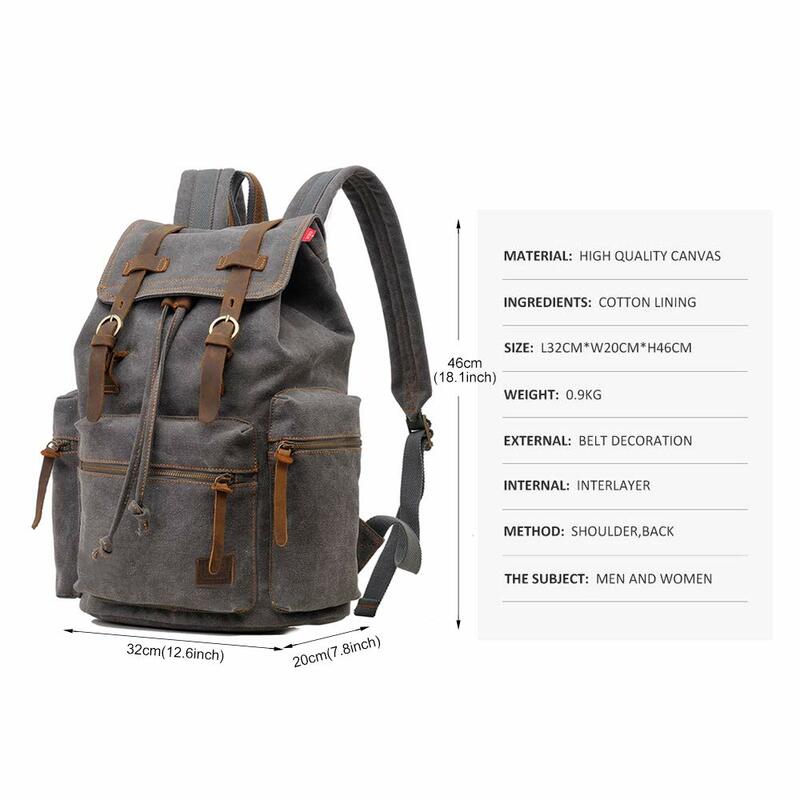 Well built and stylish, I am impressed with the quality and price of this bag. 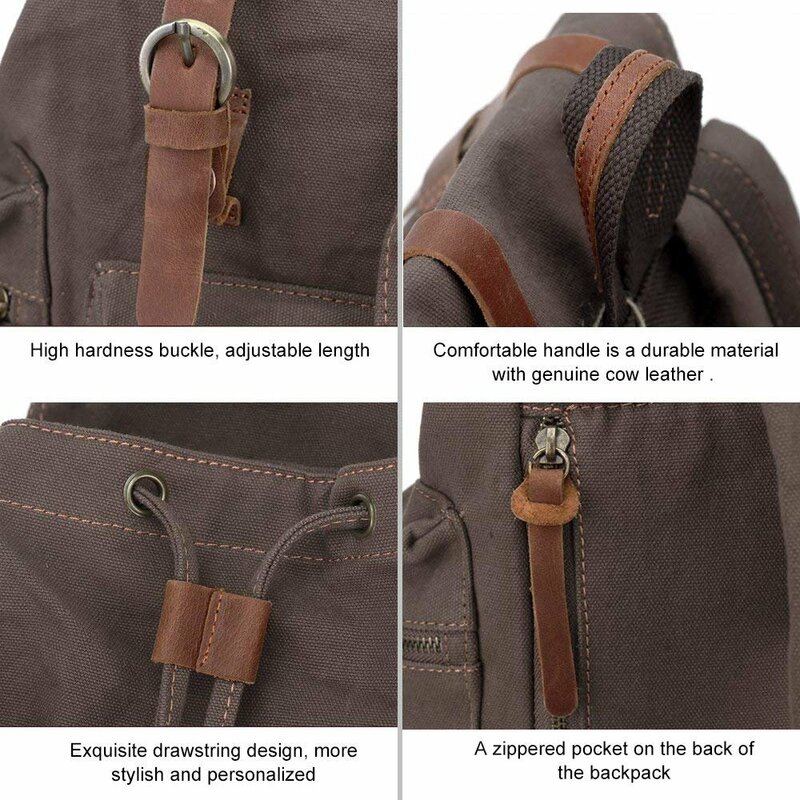 The canvas itself is very durable, but what I was most impressed by is that the zippers are heavy duty and the stitching is of high quality (straight, properly secured, high gauge thread). 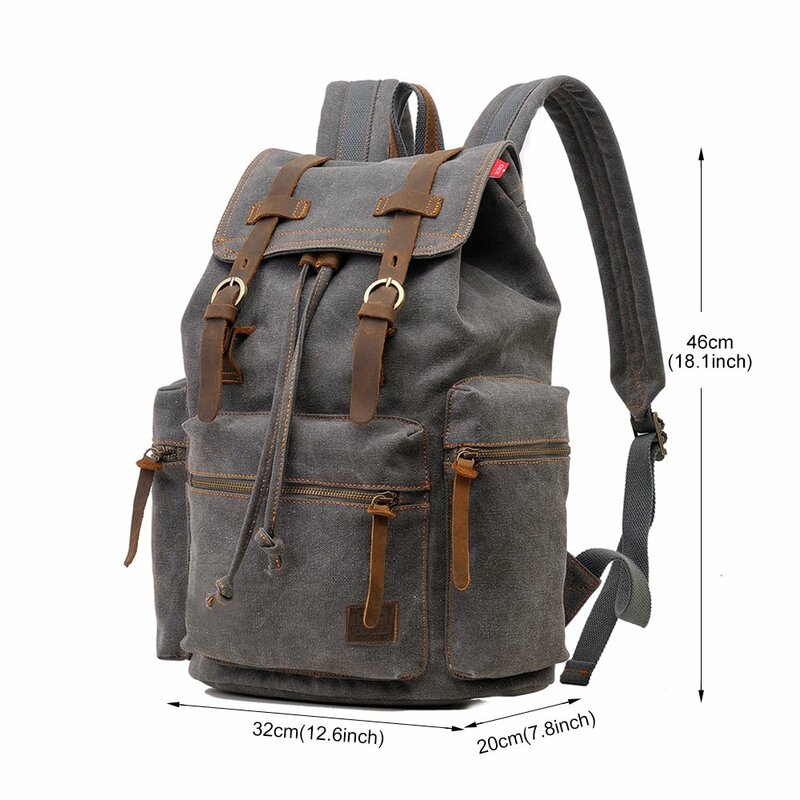 There are more pockets than you could ever hope to fill, and the straps easily adjust and remain where they have been set. 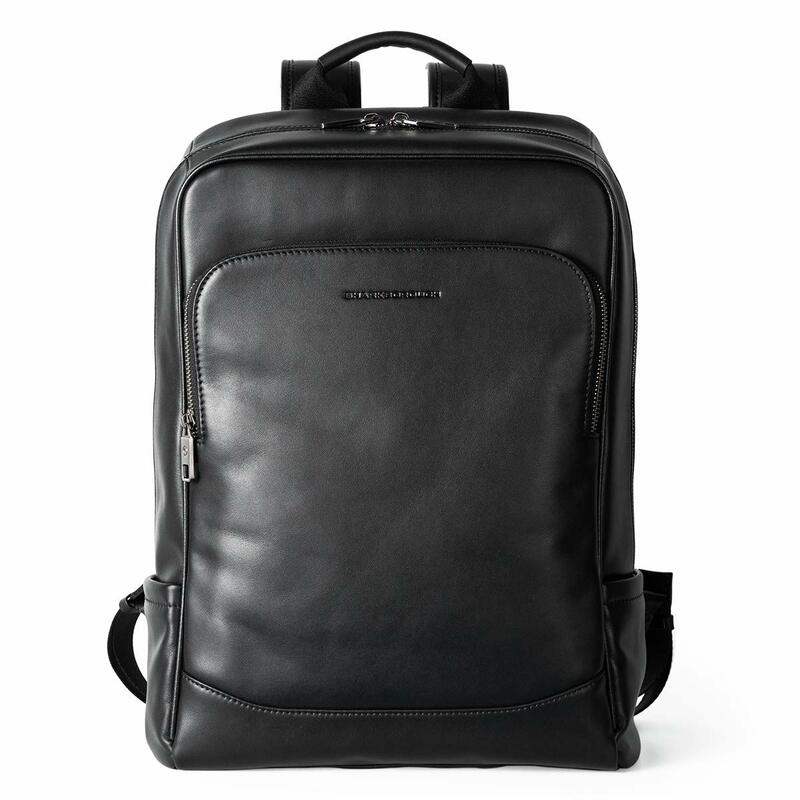 The main compartment is designed to look like it snaps shut, but it is actually secured by 2 magnets. 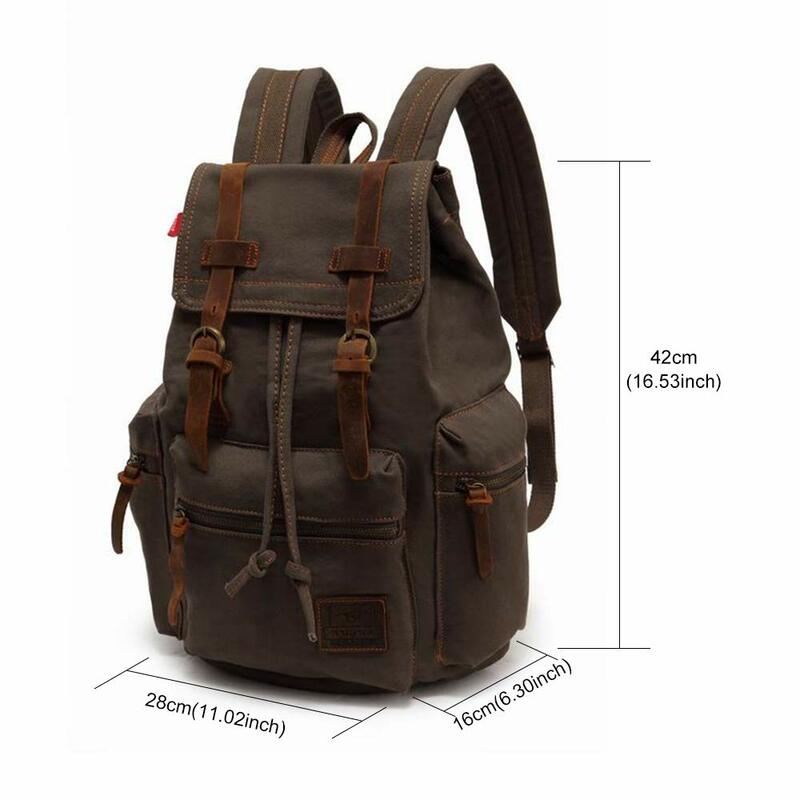 I used this backpack for hiking last long weekend. 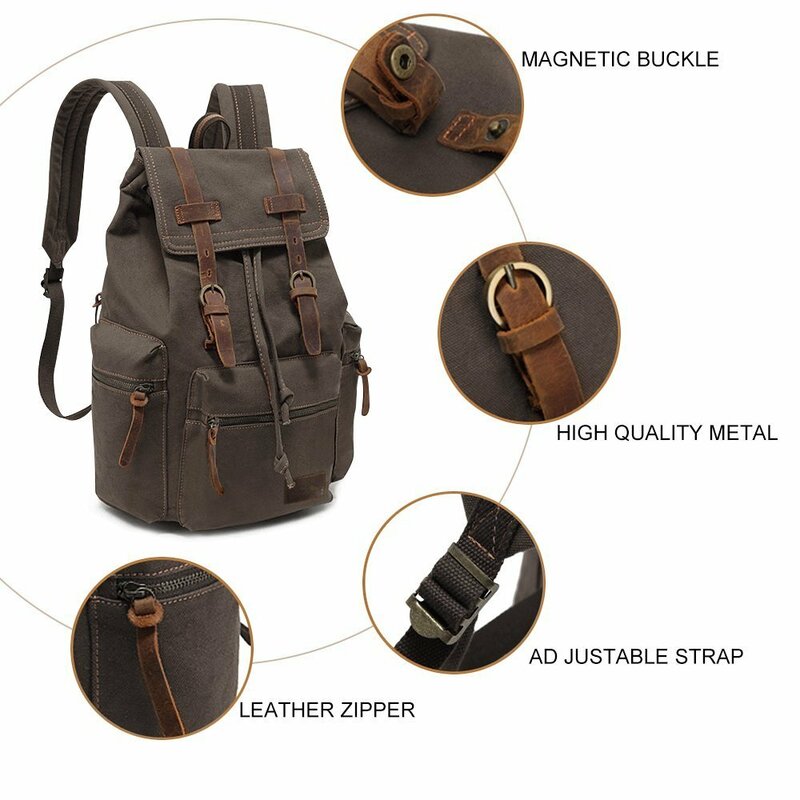 It is very nice and light weighted. I also enjoy the two side comes with a water bottle pocket which includes a zipper to help you secure your stuff. very nice ! I like it very much, I already use it everyday. 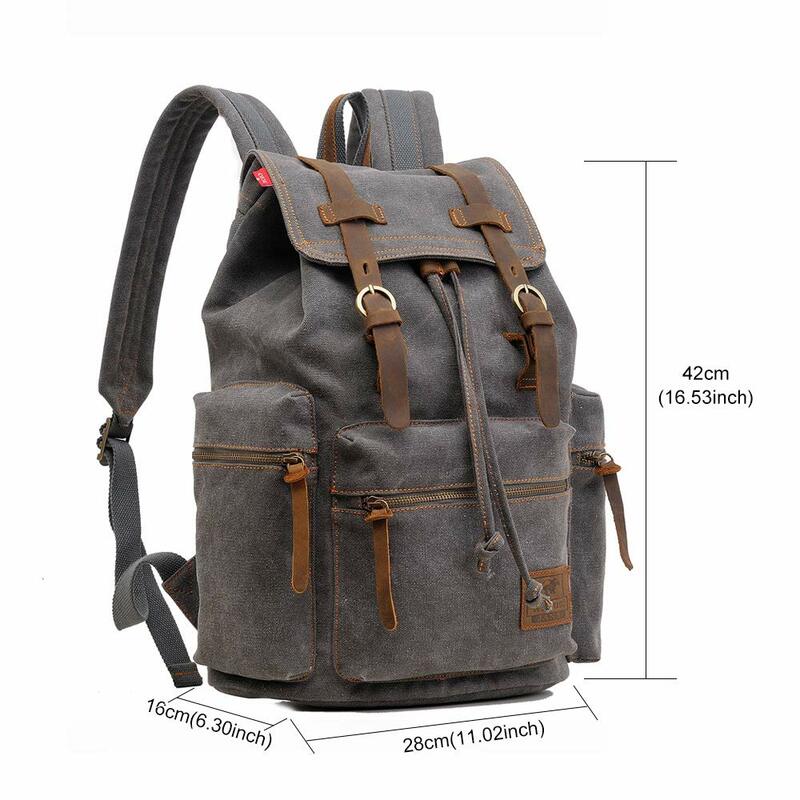 it is big enough and strong, the main pockets with the magnetic closures is so good idea,I can close it as quick as I can. 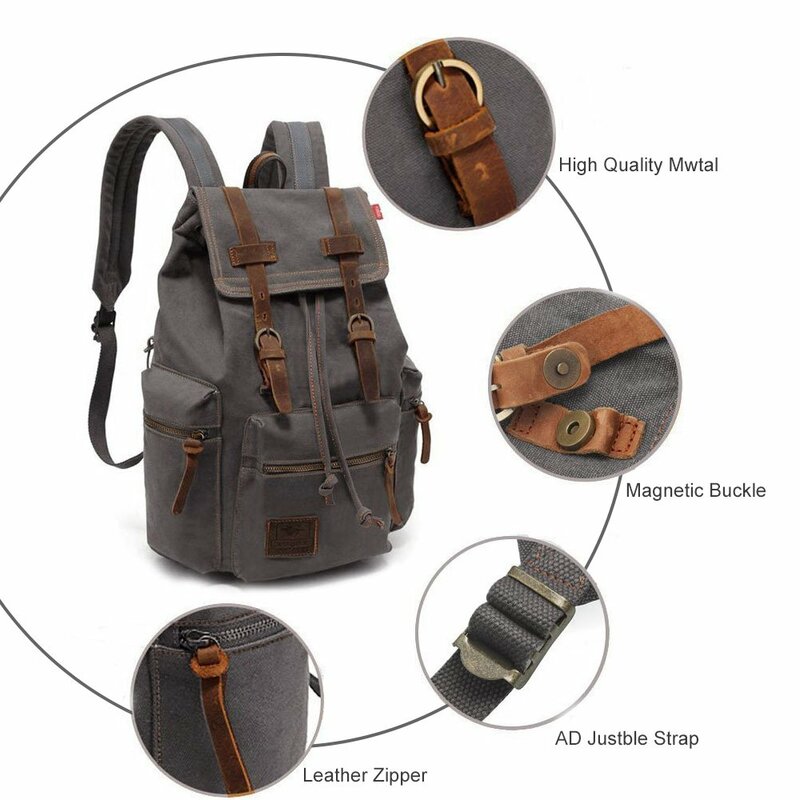 The backpack is very durable. I've taken it hiking and tossed it around and had no issues. 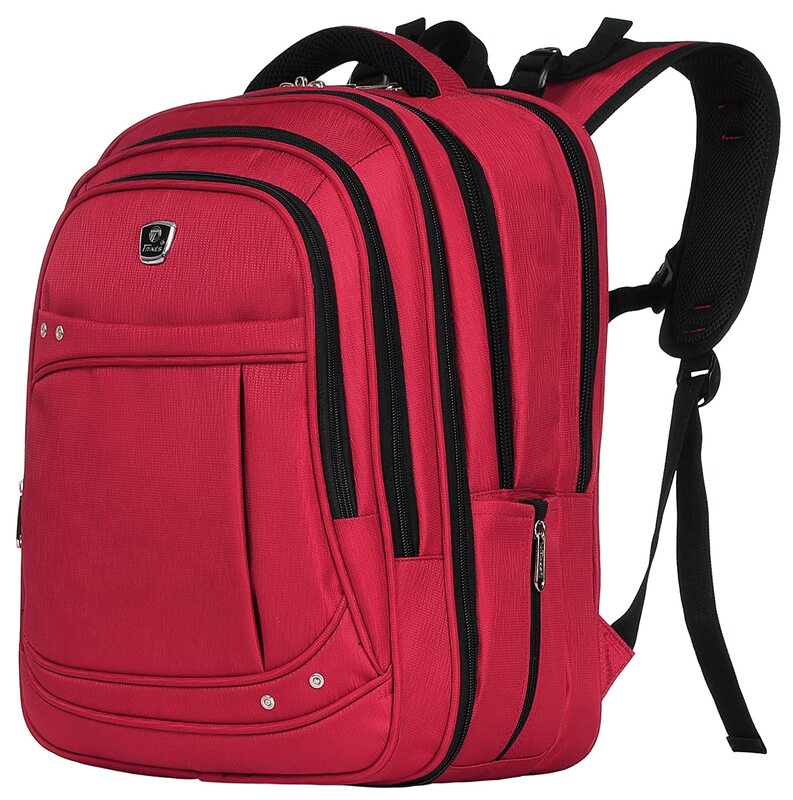 It is also very spacious and has lots of compartments, perfect for just taking to school, but also hiking. 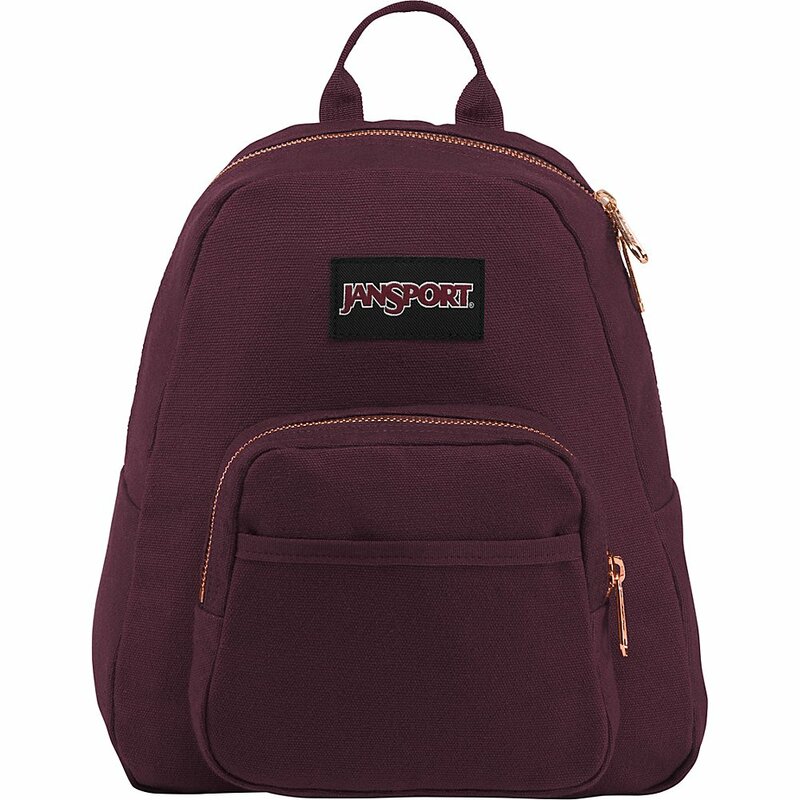 The backpack seems a little smaller than pictured but that is for the better as it makes it very stylish for campus and casual use. 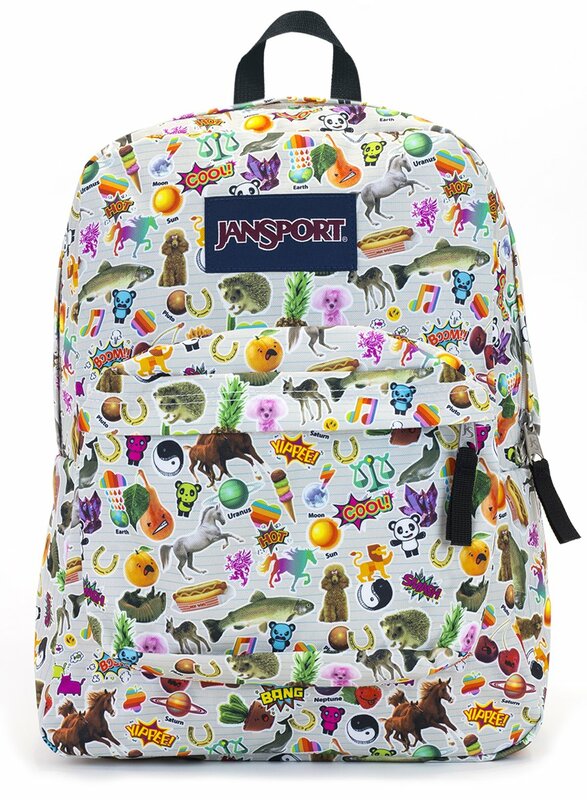 The backpack looks good. 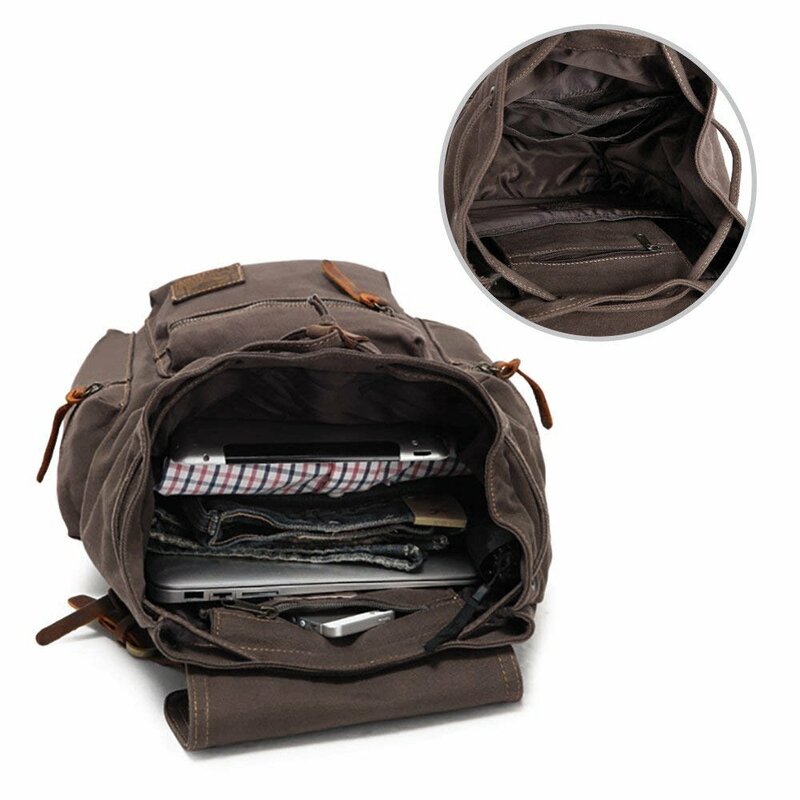 There are many compartments for various items. The main closure is draw string and magnetic, which is very convenient. 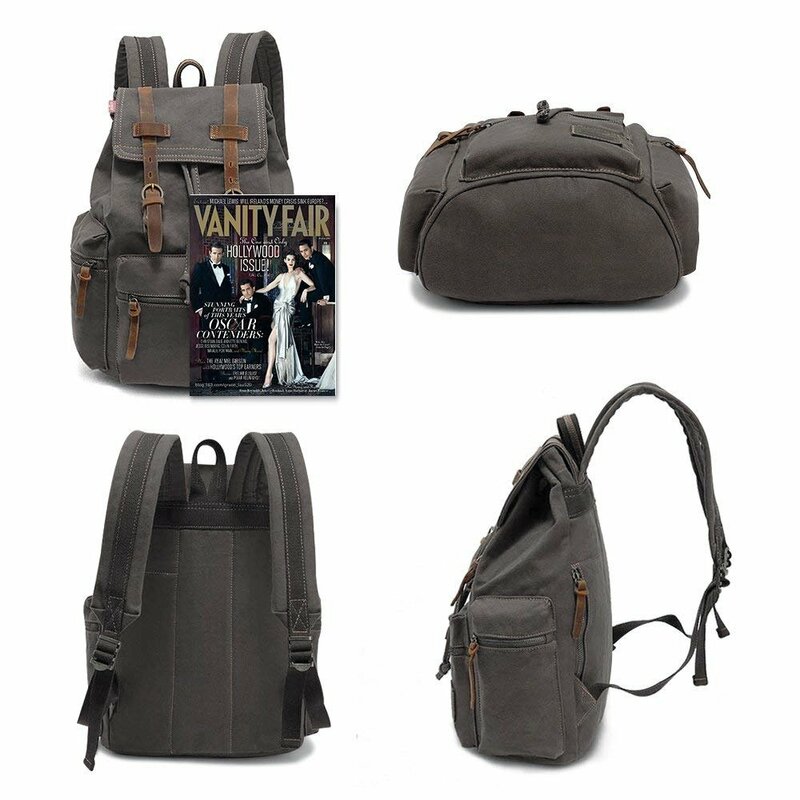 The color is very close to the product photo, hides dirt well. The bag is made out of pure cloth. It is waterproof cloth. It not very soft. It feel good. It has big stroage space. 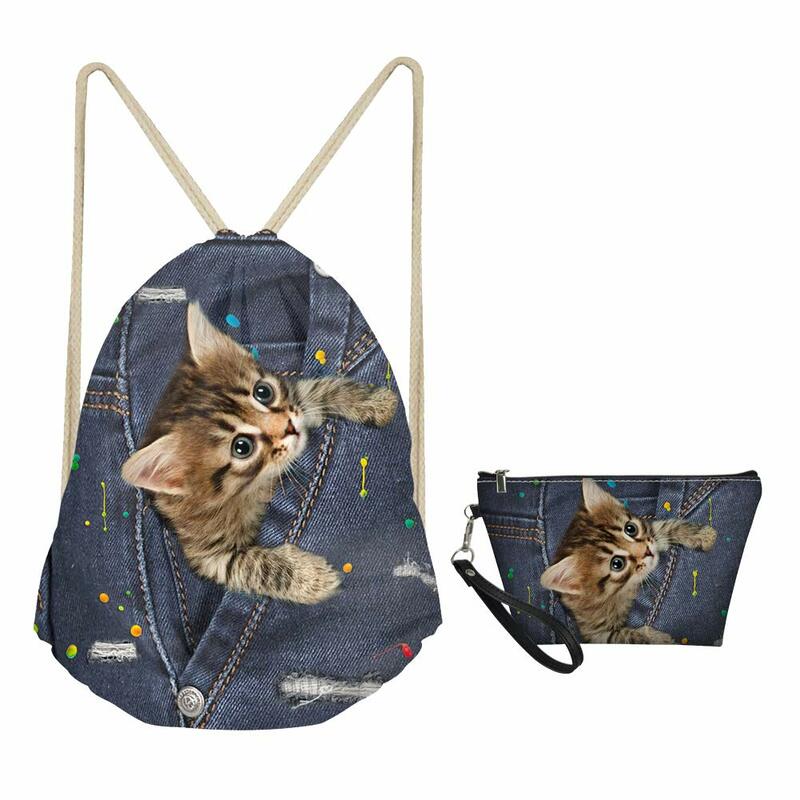 I can place 3 binder inside the bag.